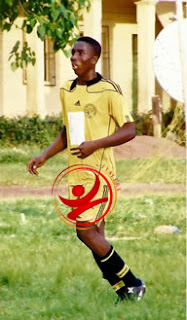 NNL: An Umuahia School Boy Contending For NNL Top Shot. Abia Warriors will give it their all, we worked hard to be here and we can't just let it slip with two matches to go,'said coach Chijioke Osuagwu of Abia Warriors. two matches left this season. One name that's getting some attention in Abia Warriors camp is a young striker who in his debut season has scored 12 goals, Elvis Chisom Chikatara and he still hopes to get more. "My goals will secure promotion ticket, God has done it. All I need to do is to score more goals,' said Elvis Chisom. When coach Chijioke picked him from a local competition in Umuahia little did he know that he'll make an instant hit. Coach Chijioke flashed back on how he saw the wonder striker. Elvis just left secondary school last year, I saw this talent in a local competition called Ben Aries. Today Elvis is now contesting for the top scorer in the league. I remembered how he felt leaving his mum who he helps sell goods in the market,' his coach recalled. Initially it was very difficult for him to cope but we've since helped him to grow and he has paid the club back with vital goals. 5 Comments " NNL: An Umuahia School Boy Contending For NNL Top Shot. " Lagos FA Cup Round Of 32 Fixtures: Champions Of Lagos, COD United FC Begin Title Defense.